Hi! I am Gustavo Abreu. 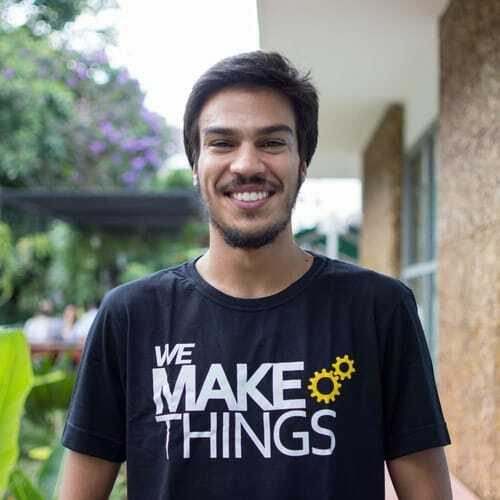 A Maker, Cyclist, Network Specialist, Fab Academy student and Co-founder of FAZ Makerspace. Born in Belo Horizonte - Brazil. I’ve always liked to torn toys apart to make new ones, understand how things work, ask a lot of Why’s and learn new stuff! In the past couple of months I got in contact with the Fab City project and was really pleased with the concept. So now, I’m focusing my studies in sustainability, smart cities, urban planing and mobility. That’s one of the main reasons I choose to take the course in Barcelona.